Speaking at the Labour Party Conference, the Shadow Foreign Secretary said: “I make a simple point, it was not the Tories assembling in the streets to fight the forces of fascism. She said: “We don’t need a new anti-Nazi league because that league is in this hall and on this stage. “From the depths of my heart, I say something I never thought I would have to say in my lifetime as a Labour member. This came as she reiterated Labour's commitment to recognising Palestine - which Jeremy Corbyn has said will be done "as soon as we take office". Ms Thornberry also condemned the Israeli government's "racist policies and criminal actions" as she gave her keynote speech in Liverpool. She said: "We all support the Palestinian cause, we are all committed to recognise the Palestinian State, and I stand here with no hesitation when I condemn the Netanyahu government for its racist policies and its criminal actions against the Palestinian people. "But I know as well, and we must all acknowledge, that there are sickening individuals on the fringes of our movement, who use our legitimate support for Palestine as a cloak and a cover for their despicable hatred of Jewish people, and their desire to see Israel destroyed. "Those people stand for everything that we have always stood against and they must be kicked out of our party the same way Oswald Mosley was kicked out of Liverpool." Ms Thornberry was speaking after a debate on Palestine saw one speaker defying the chair to whoops, cheers and Palestine flags being waved in support. Delegates chanted “Free Palestine” as a motion condemning the Israeli response to protests in the Gaza Strip was moved by Colin Monehen from Harlow CLP. He said an “army” would be needed to remove him from the stage, prompted cheers and claps from many in the audience, after he was told his speaking time was up. He said: "If you want me off this stage you're going to have to get security up here, and they better send an army, because Eastenders, like Palestinians, don't go down easy. "I want us to send a message to Mr Trump that cutting the funding to the UNRWA, the humanitarian agency set up by the UN to assist these people in exile, born homeless, born stateless, in refugee camps, will not crush their spirit. "It will not lessen their resolve to return home. "Expelling Palestinian diplomats will not make them disappear like a snowflake in the hot sun." 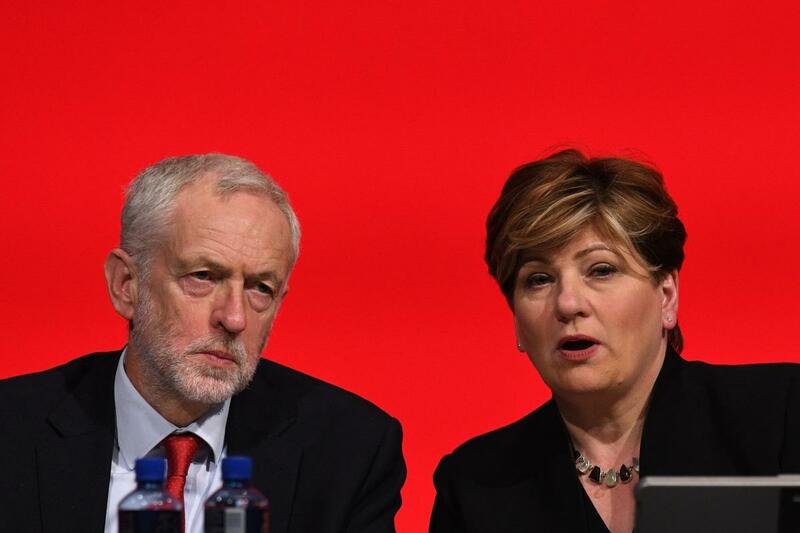 The debate happened after Labour leader Jeremy Corbyn threw his support behind a two-state solution to Middle East peace, saying he wanted a “secure and viable” Palestine alongside Israel.